The Union finance ministry has said it has started the process of examining the proposal from the railway ministry to merge the Rail Budget with the General Budget, 92 years after the separation took place. "We will look at his (railway minister Suresh Prabhu's) proposal and examine it. It will have to be done in consultation with the railway ministry . That process has started," finance secretary Ashok Lavasa was quoted as saying by IANS. The Rail Budget has been separate from the General Budget since 1924 when the British spun it off for a better focus on India's most important infrastructure network. The Rail Budget has been separate from the General Budget since 1924 when the British spun it off for a better focus on India's most important infrastructure network. Railways then accounted for 70% of the total budget. 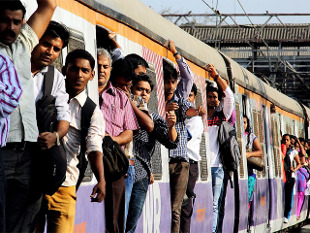 The Rail Budget is now only about 15% of the country's budget. Asked when a decision on the proposed merger of the General Budget and Rail Budget was likely , finance secretary Ashok Lavasa said, "We can reach a conclusion only after we have considered the pros and cons of his (Suresh Prabhu's) proposal." "This (merger) is something that has been suggested even in the past. So, one will have to consider what was the view taken in the past and why that view was taken," he said. Indian Railways suffers from a huge revenue deficit, the burden of which will be transferred to the finance ministry if the two budgets are merged.